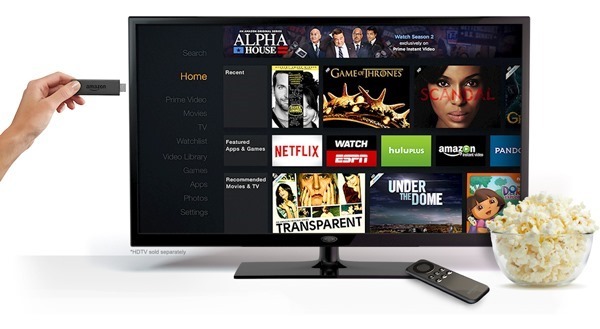 Amazon is all set to compete with Google’s Chromecast TV content streaming device. The Fire TV Stick from Amazon is a streamer that is built as a dongle and can be plugged into any TV that has an HDMI port. Attempting to compete with the Chromecast, Amazon believes it holds all the right cards. 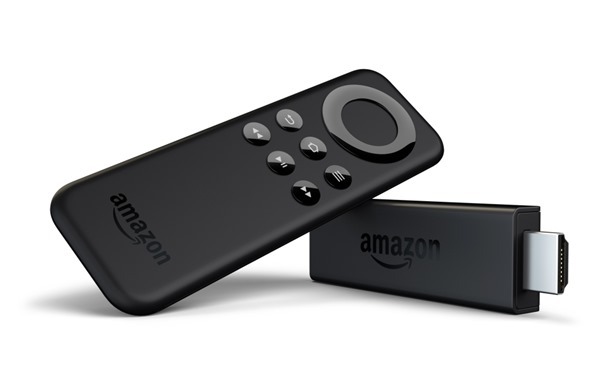 Back in April, Amazon launched the Fire TV set-top box in a bid to join in with the likes of Apple TV, Google Chromecast, Roku etc., to compete for a share in the TV content streaming devices market. Where the Fire TV set-top box was loaded with impressive hardware specs, the Fire TV Stick is a cheaper – yet by no means a compromised performer in the streaming business. Amazon is pitching the dongle as a device with considerable advancements over the already cheap Chromecast, citing 1GB of RAM – which is twice the 512 MB RAM found in Chromecast. Fire TV Stick packs a dual-core processor, MIMO W-Fi which makes for better Internet connectivity and 8GB of on-board storage. The tiny dongle also comes with its own dedicated hardware remote as well for the user’s ease. 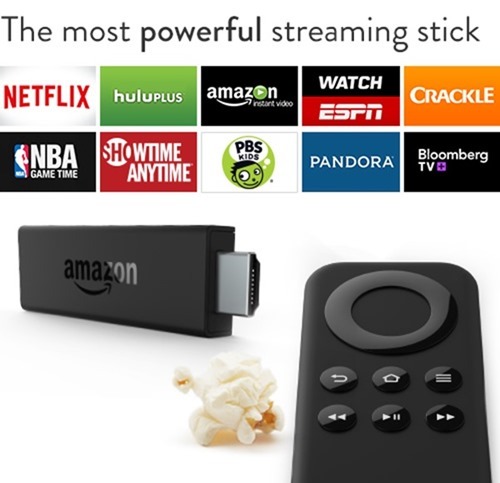 The streaming stick from the giant online retailer also packs the ‘ASAP’ streaming tech that was introduced with the Fire TV set-top box, allowing users to stream videos without the buffer delay that one normally experiences with streaming services. Retaining the ability to play games as well, the Fire TV Stick offers access to Netflix, Prime Instant Video, Hulu Plus, Twitch, WatchESPN, and an array of services right out of the box. The stick offers voice search functions as well, provided you run the Fire TV Remote app on your Fire Phone, or Android Phone. The iOS version of the app should be available soon. However, a Fire TV Voice Remote can also be paired up with the Fire TV Stick for $29.99 to perform voice searches without the need to run an app on the mobile. The Fire TV Stick seems to be well poised at $39 given the significant features and hardware edge it has over the relatively cheaper $19 Chromecast. The 8GB local storage, a more effective Wi-Fi module, and a dedicate hardware remote, are all features that truly set it up apart from the Chromecast, while still maintaining an effective price point. Its $19 for the next two days if you’re a prime customer. What would be the advantage (if any) of using this as opposed to xbox 360 to watch the same netflix or amazon content? Unfortunately Fire TV has chromecast type streaming built in which makes it pretty inferior to Chromecast if you mainly stream from other devices. unfortunately Fire TV has no chromecast type streaming built in which makes it pretty inferior if most of your streaming comes from other devices. None at all…. It’s for those who don’t have a Xbox or PS3 to stream media.